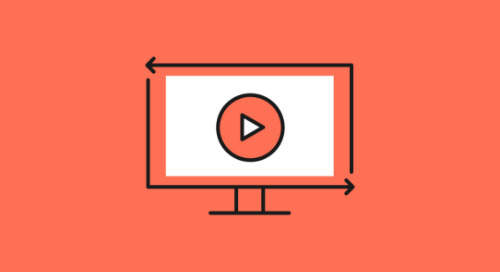 The team at Emma is here to help you send better emails, so we created a video series to equip you with all the knowledge you need to send messages your customers will want to open. In this video, Caroline Matis shares our proven blueprint for strong email strategy. Whether this is your first send or you’re a seasoned email marketer, this blueprint will help take your customer communication to the next level. With the right tools, emails can help you provide online customers with the same special treatment you’d give them in person — the professionalism of a virtual handshake, the comfort of a familiar living room, the excitement of a surprise delivery, and the hospitality of a thank-you note, all in one. But in order to find new customers and keep your existing ones happy, you have to look at the big picture and establish a strong email marketing strategy that will inform every message you send. Does this message set your company up to provide lasting lifetime value, or is it a less-meaningful one-time interaction? Is this email in line with your long-term goals or just the short-term? Are you measuring success in terms of engagement? Is your content providing value to your potential customers? Is your content relevant to the recipient or are you sending the same message to everyone? Now that you know the best four ways to use email as a relationship-building tool, you’re ready to fill inboxes with the friendliness and professionalism that’s already at the heart of your company. Good luck! Despite email marketing's evolution, there are outdated practices marketers continue to use.